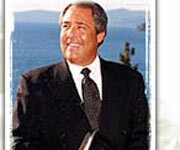 Lake Tahoe Weddng Venues, Chapels, Packages, Party Rentals, Consultants & Coordinators, Photographers, Catering Services, Party Supplies, Cake Specialists, Music & Entertainment, etc. Breathtaking views and a perfect setting for your Tahoe beach wedding! Start Planning Your Own Beautiful Lake Tahoe Wedding Today! Lake Tahoe provides the perfect backdrop for a beautiful and memorable destination wedding. Whether you want to be married in the snow, on a beach, on the lake or on top of a mountain, this comprehensive page will guide you to all the best Lake Tahoe wedding essentials. Take a look at some of the phenomenal Lake Tahoe Wedding Packages from various companies around Lake Tahoe, and find the one that will best suit your budget and desires. Lake Tahoe Weddings are anything but boring, and there are a slew of local wedding photographers waiting to capture every moment for you. Lake Tahoe has every wedding service you need including transportation, catering, florists, ministers, photographers, bakeries and most importantly, Lake Tahoe Wedding Venues. One last thing to consider... Before you plan your fantasy Lake Tahoe Wedding, take a look at some of the larger Lake Tahoe Vacation Rentals, which can accommodate your entire wedding party or family. Turn your destination wedding into a vacation and don't just spend a couple days. Stay for a week and enjoy all that Tahoe has to offer. With infinite things to do in Tahoe, you'll be able to spend tons of quality time with your friends and family. Get Married on the Lake with Bleu Wave Lake Tahoe Weddings! Let Mother Nature Provide an Unparalleled Backdrop to Your Wedding! Browse the enumerable Lake Tahoe Wedding Venues before you plan your big day. From mountaintop weddings to beach weddings, snowy weddings to sunny weddings, there is something for everyone in Tahoe. 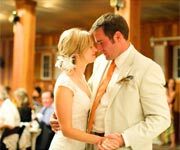 Use this page to browse the most popular Lake Tahoe Wedding Coordinators and Consultants who can help you utilize your budget for the best venue available. Thunderbird Lodge Weddings: The Historic Thunderbird Lodge at Incline Village is a wonderful place to have a lakeside wedding in Tahoe. It is easily one of the best Lake Tahoe Wedding Venues with space for the reception right next to the lake! The lighthouse room makes for the perfect reception with floor to ceiling windows and an attached kitchen for easy catering. Edgewood Tahoe: Edgewood is one of the best South Lake Tahoe Wedding Venues. Not only does Edgewood offer a beautiful facility for receptions and services, but there is also a lodge and golf course for that full Lake Tahoe resort experience. 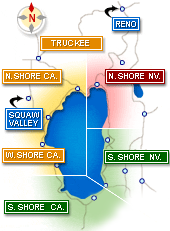 In turn, South Lake Tahoe is one of the best places to stay in Tahoe with many accommodation options and things to do. The Tahoe Chapel of the Bells Makes Your Lake Tahoe Dream Wedding Affordable! 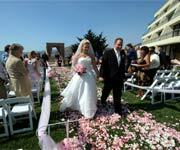 Lake Tahoe weddings create a lifetime of memories. Tahoe's Best wedding guide will provide you with everything you need to plan your romantic wedding in Lake Tahoe! Looking for a wedding coordinator or consultant to help with the details and alleviate the stress? Decided on a place for your wedding ceremony or wedding reception? You don't have to go about planning your wedding alone! Let Tahoe's Best help you find everything you need for your special day! Our Lake Tahoe wedding guide lists the net's largest collection of North Lake Tahoe and South Lake Tahoe wedding packages and lodging accommodations, hotels and resorts,  wedding receptions, wedding chapels, wedding consultants and coordinators, photographers, ministers, catering services, party supplies, wedding cake specialists,  music and entertainment and more.. Stunning Wedding Venue in a Classic Historical Lodge Setting in the High Sierra! Capture The Adventure And Excitement With Vernon Wiley Wedding Photographer! 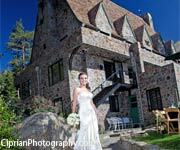 Let Ciprian Wedding Photography in Lake Tahoe Capture Your Special Day! 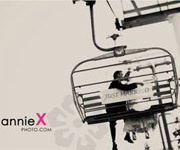 Heidi Huber Photography - There For You On Your Wedding Day. MIR Image Photography offers wedding photography at affordable rates! 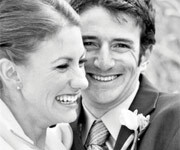 Enjoy Professional Wedding Photography from Indigo Photography Lake Tahoe. Get Affordable Wedding Pictures With Kevin Klein Photography. Love How You Look with Kevin La Presle Lake Tahoe Wedding Photography! Capture Sweet And Intimate Wedding Snapshots With Lake Tahoe Photography by Leah. Rev. Dave Beronio, Your Wedding Officiant. Nicole Miller Wedding Photographer Gets The Perfect Shots! Thunderbird Lake Tahoe: Lake Tahoe’s Castle-in-the-Sky and world famous Thunderbird Yacht. Whatever your choice, winter or summer, you can be assured of a lifetime of memories for you and your significant other. However, you never guessed anything could rival the beauty of your love for each other ... until you caught your first glimpse of beautiful blue Lake Tahoe! A wedding in Lake Tahoe will be filled with so much beauty. * Room Rates shown above reflect the average nightly rate for a 2 night stay for 2019-04-28, our visitors should verify actual rates, promotions and deals directly with the hotel as we make no guarantees regarding rates, but only provide them as a convenience.